The time has come for the annual Balmoral Show, and once again, the Northern Ireland Assembly will be there to be a part it. We are as excited as ever to participate in the highlight of the agricultural year. 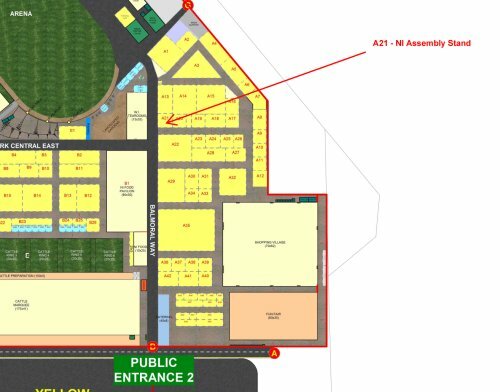 Throughout the three days at Balmoral Show (15 May-17 May), the Assembly will be in its very own space in the main marquee. There will be a range of things happening - meet and greet sessions with MLAs, virtual tours of Parliament Buildings, family activities and lots of information on hand about your MLAs and your Assembly. Please come and visit the stand to find out more about the work of the Assembly and how it affects you. On Wednesday 15 May, the Committee for the Office of the First Minister and deputy First Minister and the Committee for Regional Development will be holding their meetings at the Show, so you can drop in to watch them at work. Additionally, there will be opportunities after their meetings for you to meet and talk to MLAs and put your questions to them. On Thursday 16 May, Members of the Committee for Agriculture and Rural Development will be at the stand all morning to talk to visitors and people attending the Show, so if you have a question about Single Farm Payments or the Hardship Scheme or any other issues that are important to you, this is your chance to ask it. No advance bookings are required, so you can stop by at any time to visit the Assembly stand. Whether you want to meet your MLA or just want to learn a little bit more about the Assembly – you will be most welcome. Follow our activity at the Balmoral Show by following us on Twitter @niassembly or on find us on Facebook. Use the map below to find us when you get to the show.